All Frills Beauty and Accessories features an online accessory boutique with a variety of fashion jewelry for all tastes and all budgets. Whether you’re looking for a piece that makes a statement, celebrity inspired designs, the latest trends, or a casual set to match your favorite outfit, All Frills Beauty and Accessories has a great selection of jewelry and accessories. We strive to offer a variety of styles and quality products at prices that you can afford. 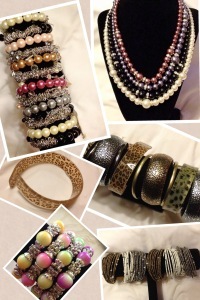 Here you can find necklaces, bracelets, earrings, rings, sets, and scarves with prices starting as low as $5! We strive to create a place where women can create the perfect look, within a reasonable budget. Now more than ever, it is important that women find a way to look and feel as though they are at the top of their game. We intimately understand how looking and feeling your best effects your confidence and self-esteem. We hand pick our inventory with you in mind! Thank you for visiting the site, and happy shopping! If you have a jewelry, skin care, or clothing lne, and are looking for an additional place to distribute your products. Please email info@allfrillsbeauty.com to discuss affiliate opportunities.